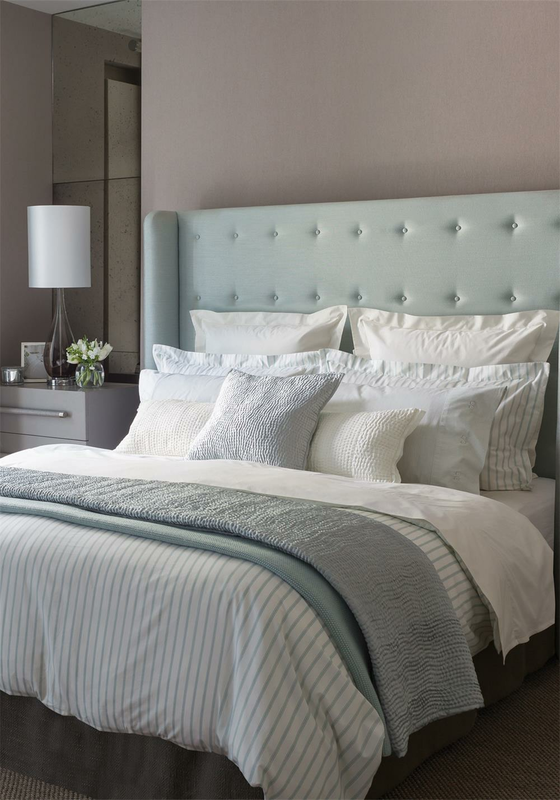 The Ellis stripe duvet cover from Fable bedding has a high quality thread count. This striped bedding has a refreshing spring look with its duckegg coloured pin stripe pattern. Lots of matching items available to purchase separately to compliment this bedding range.